How do I kill the Queen Ant? Can I kill the queen ant with Sprays? No. Not unless you can navigate into the nest and find the queen than spray her. If you walk around your home with a can of spray hoping to rid your home of ants, you will have a lot of long and frustrating battles. 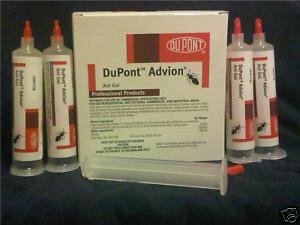 Contact sprays will not eliminate your nest or colony. What are is the best way to get to the Queen? 1). 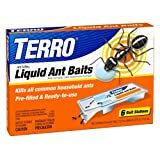 For outdoor ant nests, your best shot at getting the queen is with ant baits. These will be picked up by the worker ants and taken back into the nest where the nest will be infested and more times than not the ant will be eliminated. 2). For indoor ant nests, I always like ant gels. Gels have a way of getting back to the queen often after the worker ant grooms itself. Ants love this sweet stuff and they are always willing to share. How do I get rid of the ants in my pants? I would like to thank the reader of Topantkiller.com that asked me about getting rid of ants in his pants. I believe the reader is from North Carolina. I appreciate the question. I used to live in North Carolina. The people there came off as sincere and likable with a good sense of humor. So, I was not surprised to learn you are from North Carolina. There are a lot of ants in North Carolina. I have not run into the variety that live in peoples pants. Humor is an important part of life. Life isn’t so serious that we can’t sit back and consider the humor in most situations. There are some situations that require more solemnity. However, when dealing with ants, humor is a great way to deal with them. So, thank you for the question and allowing me to smile. I will not offer any formal advice on how to get rid of the ants in your pants. I can recommend some ant sprays but I would hate to recommend that you actually spray them down your pants. You may want to consider changing your pants, getting a new pair of pants or taking off your pants and shaking them of the ants. I don’t think your pants make an ideal climate or location for ants, so you probably don’t have to worry about chronic ants in your pants. Gravity will be a big issue for the ants and I would assume there is a lack of food sources in your pants. So, I wish you the best of luck and appreciate the question. How do I get rid of the ants in my kitchen for good? In my experience, there is nothing more frustrating (as far as pest control is concerned) to the homeowner than having recurrent ants in the kitchen. I’m talking about the little piss ants that won’t go away. Homeowners go crazy over these. So, how do you get rid of them for good? 1). Start with a Deep Clean: There is really no easy fix to this solution. It is trial and error, trial and error. Piss ants are attracted to sugar, starch and food. You have got to start by deep cleaning your kitchen. If you don’t know how to deep clean, call a maid and get it done right. Shelves need to be emptied, the fridge needs to be scoured. You have got to start with a clean slate before you go in for the kill. 2). Stay away from spray: Your initial reaction will be to spray the problem away. Don’t do it. Don’t ever do it. You will spray the ants every day for the rest of your life and they will keep coming back. The spray will not be effective at getting the nests. 3). Start with a gel: Advion or Terro work great in kitchens. Remember gels are not a contact kill. It will take time to get the nests and you may even see more activity after you apply the gel. So, gel and wait. 4). Barrier up: Use a Good Barrier Spray to keep the ants away. While working at the nests in the kitchen, you need to protect your home from more invasions. So, before you start with a gel, get the barrier up around your home. I recommend Suspend or Talstar Pro. 5). Crack and Crevice Treatment after Gel: After you have allowed the gel treatment to work, you should use a barrier spray on the inside of your home as a crack and crevice treatment. Spray in all entryways of the home (ie doorways, window wells, around piping, plumbing, etc.). If you follow this plan and are patient, your kitchen will be free of ants. And you won’t have to do the ants dance.